Art patrons, fashionistas, social chairs, and entrepreneurs - the guests at last night's 20th annual Frick Young Fellows Ball can truly be called Renaissance Men and Women. Fittingly enough, the highly-anticipated evening recalled the elevated elegance of an Italian palazzo during the age of exciting new developments in art and culture. Inspired by the Frick Collection's latest special exhibition, Moroni: The Riches of Renaissance Portraiture, attendees channeled Cinquecento Chic, making creative references to the Renaissance with gilded accessories and opulent gowns. It certainly didn't hurt that Altuzarra served as the event's fashion house partner, as designer Joseph Altuzarra has himself cited art history, and the Renaissance in particular, as inspiration for his work. The night began with what felt like a true meeting of the minds among some of New York's brightest young things. 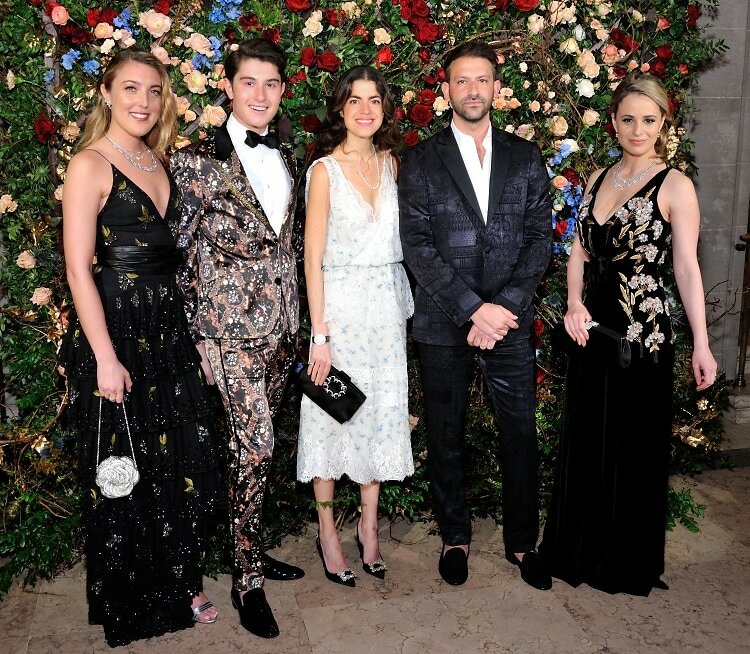 Chairs including Leandra Medine Cohen, Selby Drummond, Lili Buffett, and Larry Milstein mingled with guests in the mansion's iconic garden court, congregating around the fountain like a scene out of an Italian painting. After perusing (and posing in) the Frick's pristine galleries, partygoers really got the party started on the dance floor, with help from DJ Pamela Katz. And despite the torrential downpour outside, guests kept the festivities going after-hours with a bash at the new Times Square EDITION's Bosch-walled Paradise Club. As always, it was a night to remember. Click through for an inside look and go HERE for more photos by Stephen Smith!